Here’s an email that has been passed around lately and I though I would share it with everyone since it is related to the sight. The story goes that this fellow was out fishing on Rainy Lake in Ontario bordering Minnesota. 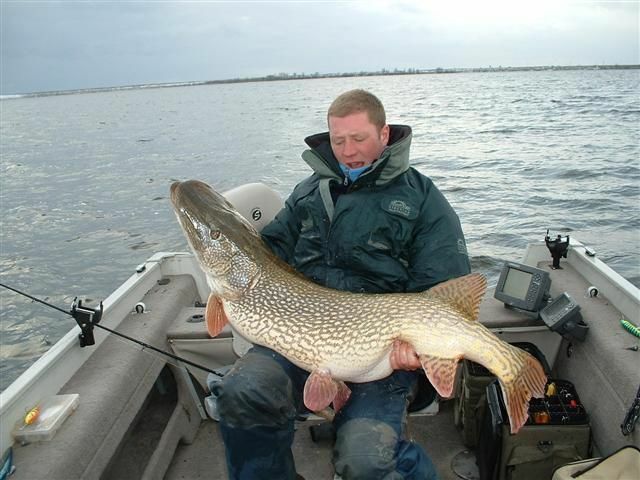 He was fishing for Pike and had caught a 36 incher, a good catch by any standards, and as he was reeling it in this mammoth Pike tried to eat his catch! The fisherman grabbed his net and pulled both of the fish in the boat. 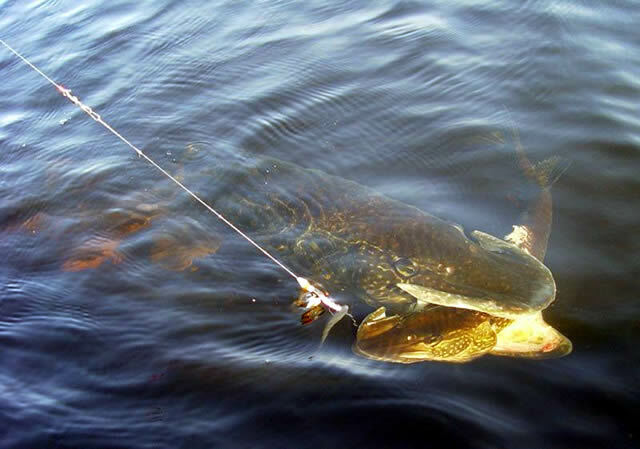 The mammoth Pike was measured at 56 inches long and weighed 55 pounds which is apparently a new Canadian record. I can’t verify the authenticity of the story but here are the pictures that came along with it. Pretty darn impressive if you ask me.